Small - $72.99 Medium - $72.99 Only 6 left! Large - $72.99 Only 9 left! There's just no saying exactly what's going to happen when you add a new member to your family. One minute you think you're getting a little baby girl, and the next thing you know you've got a magical unicorn rip-roaring through your living room. Think that's a stretch of the imagination? Naw, we can totally make it a reality. All you’re going to need is this Lil Unicorn Costume for Infants, and you’ll have your own unicorn lickety split! 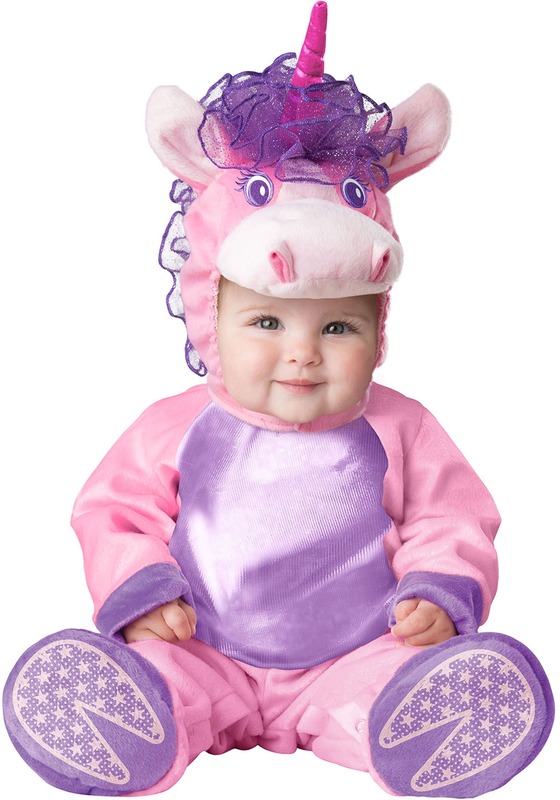 This Lil' Unicorn Infant Costume is sure to make your little one a cute Halloween treat! It' stylish, 100% unicorn-y, and ready to make Halloween extra special for an amazing little girl or boy. The pink and lavender jumpsuit is super cozy and the plush headpiece adds the delightful details of a Unicorn head. It's got the snout, eyes, a glitter tulle mane, and most importantly, a plush horn! Its available in infant sizes extra small to large, please consult our size chart for specific measurements. When you've got a tot in your home, your probably inclined to read them magical stories about far-away lands, princes, princesses, gold, fairies, unicorns, and... well you get the picture here. Fantasy is fun! Your kiddo's not too young to start the fun, either, when you suit them up in this costume. Be sure to shop our entire selection of items to make this Halloween the greatest ever. From accessories to costumes for Ma and Pa, we're your one-stop Halloween shop!